Ho! Ho! Ho! Travel Mamas is partnering with Lands’ End to spread some cheer this holiday season. 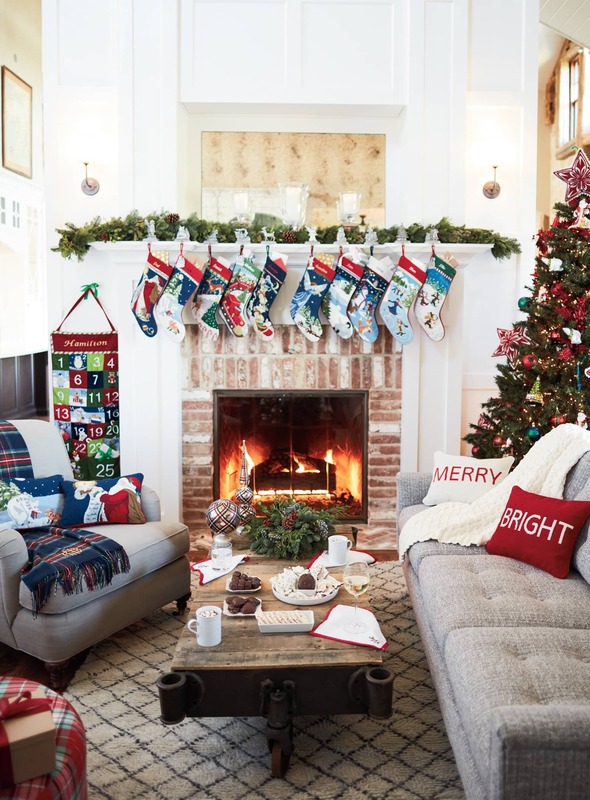 In addition to special Lands’ End discounts, sales and gift offerings, they’re is giving away an abundance of gift cards and the chance to win $10,000! From gifts for kids, women, men and even man’s best friend, you’re sure to find something fun and useful for everyone on your shopping list at Lands’ End. This international retailer of casual clothing, accessories, footwear and home products is legendary for its high-quality, long-lasting products. Their plaid flannel pj’s for the whole family look especially cozy, as do their fleece slippers, and down coats. 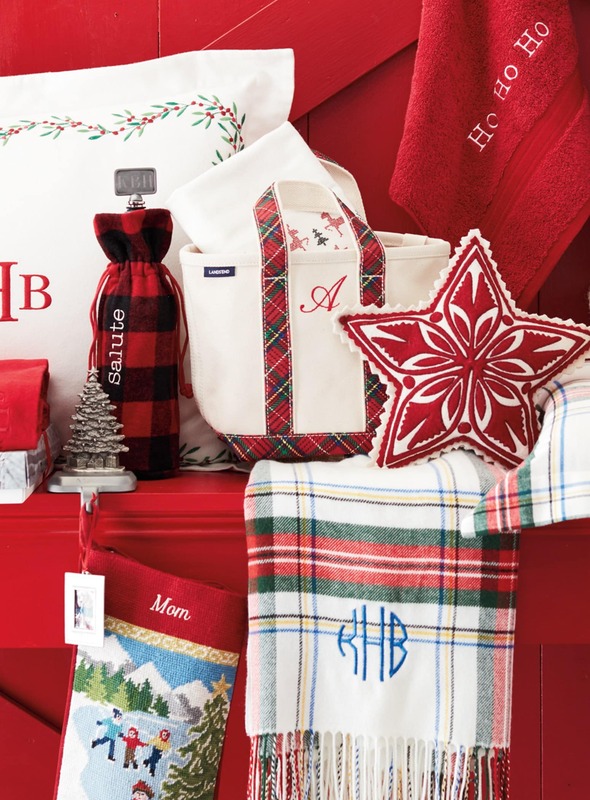 Monogramming takes gift-giving to the next level. You can personalize hundreds of Lands’ End items by adding a monogram, embroidery, heat stamp or engraving. Just be sure to order your personalized item by December 12 to ensure Christmas delivery. My favorites? Personalized bean bags for the kids and monogrammed tote bags for all ages! No time to wrap? No worries. Lands’ End will doll up your gift in a holiday box with tissue, ribbon and personalized message (for an additional fee). Orders without customization should be ordered by December 19 to take advantage of standard shipping. Lands’ End wants to help you have a merry, bright and affordable holiday. That’s why they’re offering all sorts of incredible discounts and sales so Santa doesn’t have to go broke spreading holiday cheer. Plus, Lands’ End offers free shipping on purchases over $50 every day. Go check out the specials available today. 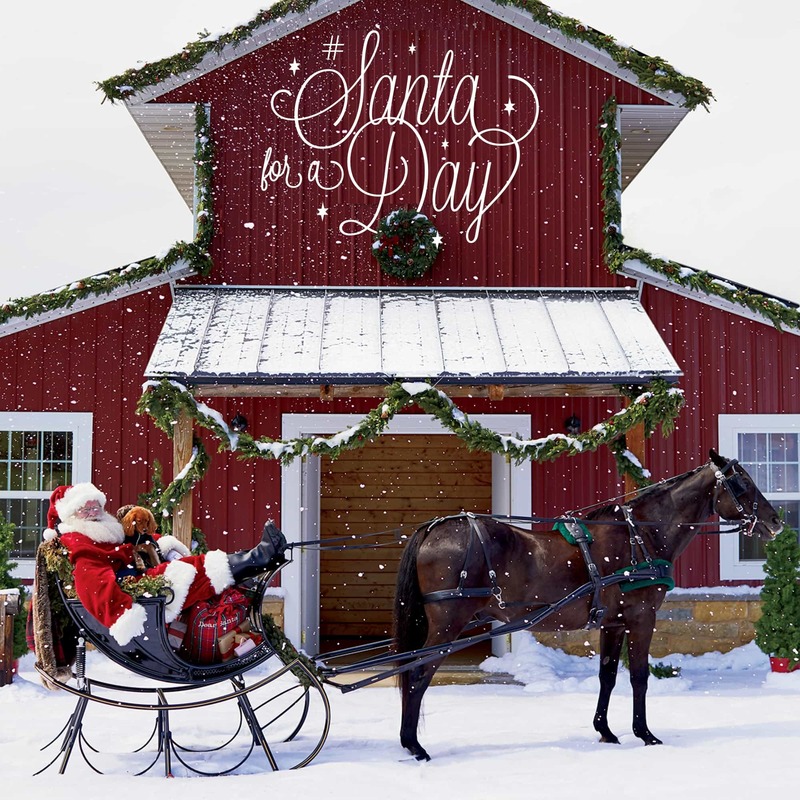 Lands’ End is offering one lucky winner the chance to truly be Santa for a Day through their holiday sweepstakes. You could win not only $10,000 in cash, but also $5,000 for the charity of your choice! (Charity to be approved by Lands’ End.) 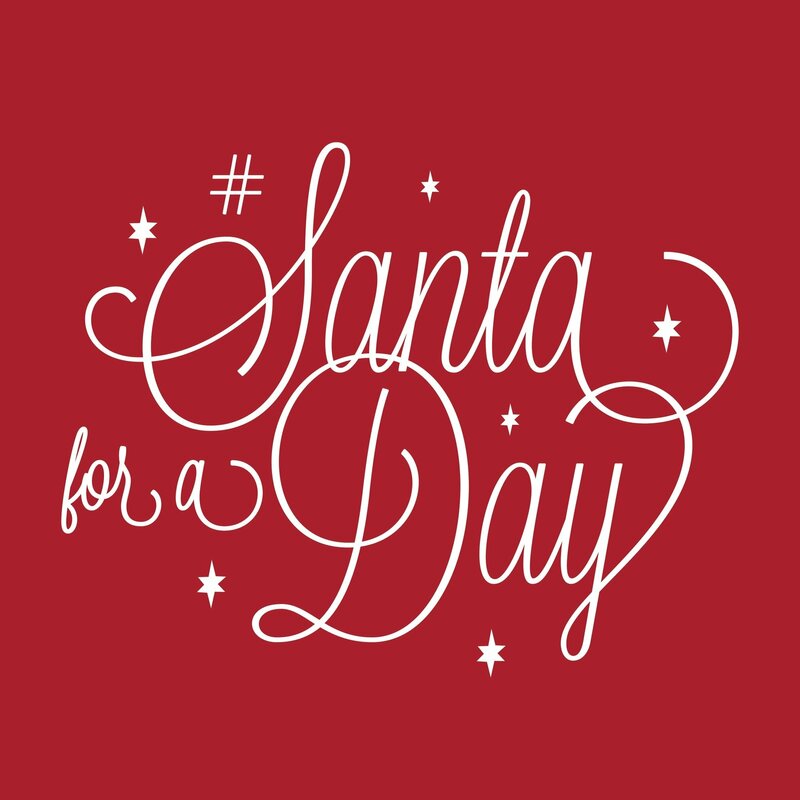 Just fill out the form here: landsend.com/santaforaday. Enter the Lands’ End Santa for a Day giveaway daily through December 17, 2017. Every time you enter the Santa for a Day sweepstakes, you get a bonus chance to be an instant winner of a $1,000 Lands’ End gift card. One card will be awarded per week through December 17. For more information or to enter visit landsend.com/santaforaday. Would a $100 Lands’ End gift card help you complete your holiday shopping? Of course it would! Head to Twitter for a little help in your role as Santa. Each day through December 17, a unique Santa interview question will be asked by @LandsEnd. Just answer the question using hashtags #SantaForADay and #LandsEndHoliday to enter to win a $100 Lands’ End gift card. Winners will be selected at random. For additional gift ideas, check out our holiday gift guide for families and our gift ideas for travel lovers. 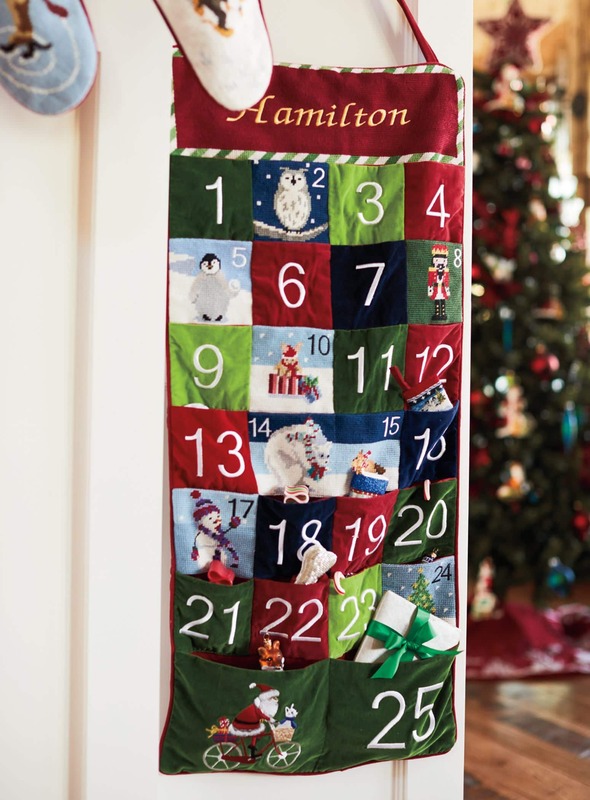 What’s on your Lands’ End wish list? Let us know in the comments below! A Note from The Travel Mama: I will receive compensation related to this blog post from Lands’ End as part of their Santa for a Day campaign. Oooh, it looks like Land’s End has a lot of cute stuff for the holidays. I am going to have to check them out. They really do. AND I saved over $150 on my Lands’ End gift purchases! That’s so awesome! I have to finish up my shopping, and it looks like Land’s End is the perfect place to do it right now. All I wanted for Christmas was a painless end to the shopping. Yay! I hear you. I am ALL DONE with my holiday shopping and it feeeels sooo gooood! I love Lands’ End stuff….I always find something for myself AND something to gift when I shop there 🙂 This is an awesome giveaway – I love that it’s so giving! That’s the true spirit of the holiday season too. As they say, ’tis better to give than to receive! I love Land’s End. They have such cute things. Agreed – I couldn’t help myself but this Travel Mama an early Lands’ End holiday gift! There are so many things at Land’s End that I could buy I think I would go broke. We just got a dog this past year and I would love to get him a little outfit to keep him warm during the winter. The good news is that Lands’ End’s holiday discounts and sales will keep you from going broke. Congratulations on your new furry family member! I hope he or she loves that Lands’ End doggie coat! I would love these presents they are such good ideas for the holidays. The free shipping is perfect because we will definitely be spending over $50. I spent over $50 on shipping and already got all of my goodies delivered in time for the holidays! That Lands End room picture is super cozy! I love the Land’s End brand and think they have wonderful products! This sounds like such a great place for some nice items. Looks like they have a great selection too. What an awesome giveaway! I would love to shop at Lands’ End. I love to give personalized gifts. A $100 Lands’ End gift card would goo a long way. Personalized gifts always go over well and seem so thoughtful. I always need help wrapping every year! Nice to know they help out with that! I know where I need to finish shopping at! So many great deals from Lands’ End this season – they definitely helped me out with my shopping list! Wrapping the gifts is SO MUCH WORK! Love that Lands’ End provides a gift box, tissue & ribbon – not just a goofy bag. Lands End has a lot of cute things for the holidays. How cute are the dog coats?! These are great pieces for holiday decor! I am loving those pillows and stockings! Me too! So tempted to buy some more holiday decorations for our house. We could use an update! These are some absolutely stunning gift ideas! I would sure love to win a Lands End gift card! Thanks for letting us know about the sweet sweeps! 😉 Wish me luck! I love the personalization options. Lands’ End holiday gear is just so nice. I should check out some of the specials. I just bought so much stuff from Land’s End. I got some great deals too! So many great deals from Lands’ End this holiday season ~ glad you were able to take advantage! Land’s End has so much great stuff. I always get distracted when shopping for gifts on the Lands End site and just buy things for me. Ha! I have to admit that I did buy a cute monogrammed tote as an early Christmas gift for myself! Lands’ End has great gift ideas. And what a great sweepstake. Being able to help out a charity with that kind of donation would be amazing. I know…I keep thinking about where I’d donate that money! I think I’d go with Monarch School, it’s a non-profit school for homeless kids in San Diego. I used to volunteer there years ago. I bet $5,000 would help a lot of kids! 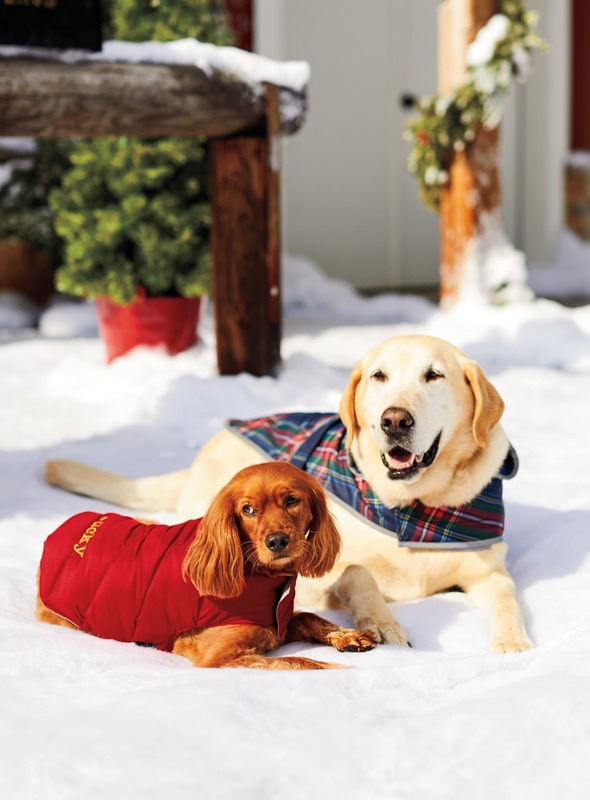 I love Lands’ End for clothing for the family and those doggie jackets are just the cutest. 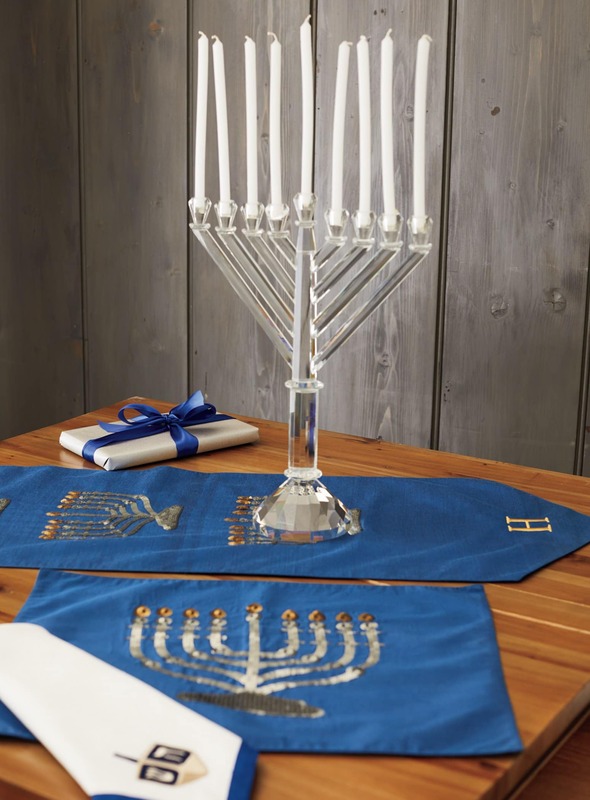 But I had no idea they also have so many beautiful gift items specifically for Hanukkah and Christmas, too. Their holiday decorations are so darling…maybe I should just go buy a few things…!!! Oh my goodness, the living room looks amazing! I had know clue that Lands End had such beautiful stuff. That living room looks so classy and cozy…I want it! Thank you so much for sharing these discounts and giveaways!! I will definitely check this out! Happy holidays! Happy holidays to you, Toni! That menorah is beautiful! I am in need of a new one, and just fell in love!